Who Needs a Resolution Pep Talk? Are you still hanging on to those New Year's resolutions, or have they already fallen by the wayside? Did you know that just 8% of people achieve their New Year's resolutions? Let's be part of that 8%... or better yet, let's be the factor that raises that percentage! First, let's make sure you are set up for success. Let's go back and take a look at your resolution. #1) Is your resolution specific? A lady told me the other day that her resolution was to keep on improving herself in 2017. I asked her if there were any specific areas she was looking to improve in. She said, "No, just to improve myself". I already know she is going to fail. She might be able to look back at the end of 2017 and say something like, "Yeah, I improved my French, and I'm now exercising two days a week instead of one so I have improved myself", but those things would have happened anyway, because she didn't know what she was even working on until she got to the end. Let's look at an example. Let's say your resolution is to exercise more (or to start to exercise). Let's change that to - Exercise Mon/Wed/Fri mornings- but if you really want to succeed you will get even more specific than that. Try to answer all of the question words. Where? What? Who? Why? When? How? Once you have done that, our example resolution might look more like: I will get up 1 hour earlier on Mon/Wed/Fri to exercise using the Beach Body Turbo Fit DVDs for half an hour. I promise myself I will stick to this schedule and not miss a day. 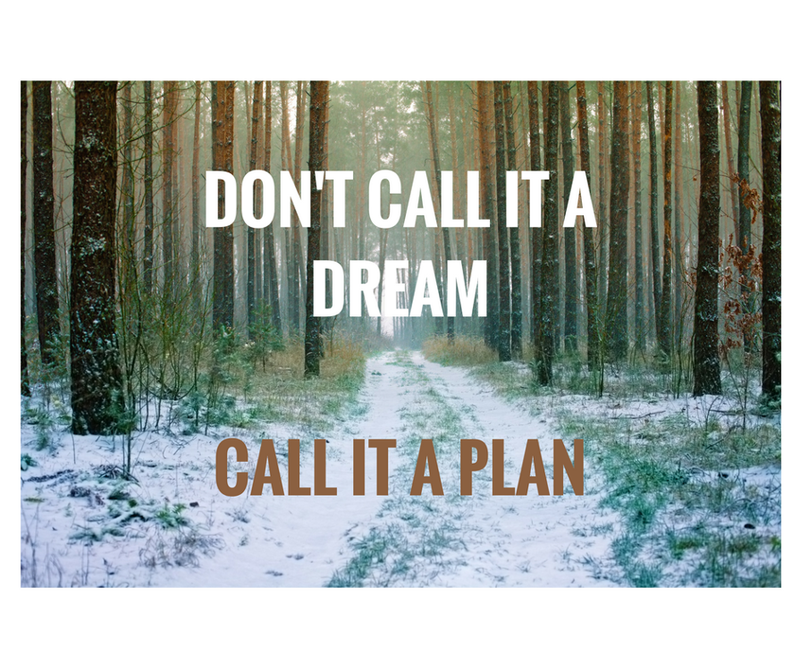 #2) Is your resolution too ambitious? Earlier this year, I committed to making 75 recipes from a certain cookbook (that covered almost every recipe in the book) in a little less than a 3 month period during the summer. That is a little less than one recipe a day, and some of them were side dishes or sauces so I thought I would be getting in more than one recipe in a day on some days. I didn't think about a lot of things, such as vacations, days when it was hot enough that you didn't want to cook, days when you wanted to make something that was not in that cookbook, and days when life got in the way or it was more important to give all of your time to your family. I'm sorry to say I only ended up making about 10 of those recipes. You want to feel a sense of accomplishment so make your resolution too easy if anything. You could also make it in stages. Taking the example from #1, you could say: I will exercise on Monday for the first week, the second week I will exercise on Monday & Wednesday, the third week I will add Friday. Maybe every week after that you will evaluate and see if you want to increase the intensity, time length, or number of days of exercise. The most important thing is doing what will work for you and insure your success. #3) Write it down and say it out loud. It is a proven fact that people who write down their resolutions have a higher success rate. Part of that is that you are more likely to be specific if it is written down and not just floating around in your head, but also I think that writing it down helps you to make the commitment. It feels like you've just signed a contract with yourself. When it is written down read it out loud to yourself. Read it with conviction. Do me a favour and go back and read the last sentence I wrote in point #1. #4) Make a public commitment. Yup, you heard me. Get on Facebook or your favourite social media platform and tell all of your friends (or the world depending on the platform) your resolution. Then update when you've hit milestones, or are feeling proud or successful or ask for some encouragement when you have hit a roadblock or are feeling discouraged. This can be done somewhat through #4, but just like when writing your resolution, you want to be more specific if you can. Find a friend with similar goals and arrange to text each other words of encouragement every morning, or set-up a phone call or text daily with someone to ask each other what you have done to meet your goal that day. Is your resolution the kind that you could somehow do with someone? If so, then find yourself a buddy and set specific times to commit to working together on whatever it is. Now, go and do something that will help you get back on track or will ensure your success!